Recipes, thoughts, ideas & more.. 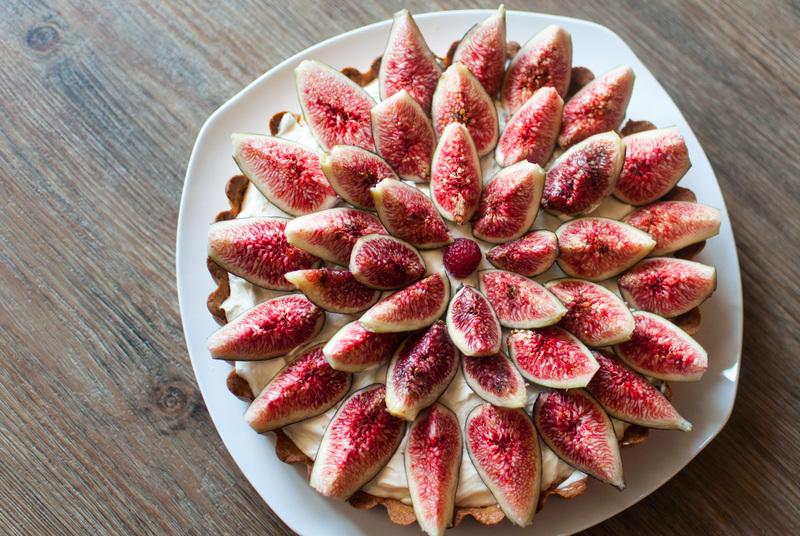 I am always fascinated by tarts. Their wavy shape, that flaky texture, soft and rich filling… It is so appealing! And, in my view, Figs are magical objects. The dark outer coating that resembles an onion, brilliant mauve color once cut open, tender threadlike flesh and sweet taste! And to make it even more awesome, I had access to fresh figs from my friend’s garden. It just doesn’t get better than that, does it? So I decided I wanted to make something with large stash of fresh figs and I thought of this brilliant recipe I had read earlier. I made a few tweaks to this, since lot of almond flour isn’t the healthiest thing on the planet; I wanted to use honey in place of sugar to make it more natural foods based and since I had some other ingredients at hand like berries, which I used to make a quick sauce. I unfortunately didn’t have a picture of final presentation with strawberry-raspberry sauce, but hey, I was really rushing to get the fresh tart ready for my husband’s birthday! All is fair when you have birthday wish to declare, right? I fulfilled my husband’s wish with this awesome homemade tart! Hope you like it too. In a mixer, add some flour and almonds, chop till almonds form a coarse powder and blend into the flour. Add all the flour including the one with almonds into a big bowl and mix them. Add honey slowly and add small butter chunks. Add egg yolk and water while mixing everything till it comes together. Lightly spray 9.8 inch tart pan with non-stick cooking spray and sprinkle some flour on it. Press the tart mixture into the pan and place the pan in freezer for 30 minutes. Preheat the oven to 400 degrees. Remove the pastry from freezer after half hour, dock it and fill it with beans on parchment paper or aluminium foil. Bake for about 25 minutes. Remove the pastry carefully, remove pie weights or beans and bake it again for another 10 minutes. Once the tart bottom is brown, take it out and cool it completely. To make the filling, combine all cheeses, honey and heavy cream together with whisk. Add vanilla extract and whisk to combine. Fill the cooled pastry with the cream filling. 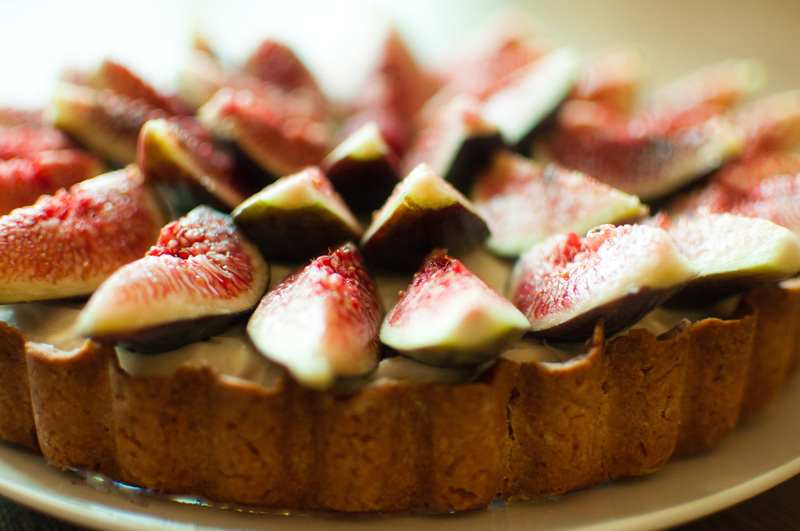 Slice the figs in quarters and arrange on top of the cream in a circle. In a saucepan, heat the water. Once hot, add to it honey and berries. Cook on slow to medium heat until all berry juices flow out and build a sauce like consistency. Increase water if necessary. Sieve the mixture to collect the sauce and pour it on the tart just before serving. Since I used honey in place of sugar while making the tart, I think I could have used less butter to achieve the right consistency and flavor. Perhaps you can try and let me know how that worked. Also, since the berries were really sweet, adding honey was not entirely required. If you want to curb that sweet intake even more, let go of honey in the sauce. I read somewhere that if you freeze your tart, you don’t need pie weights or beans! I am totally going to try that next time. 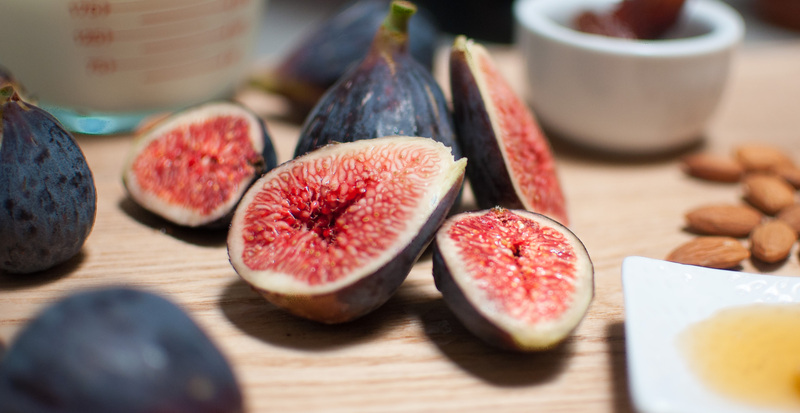 I absolutely love figs too! Yours look lovely! I totally adore tarts! This is a masterpiece!